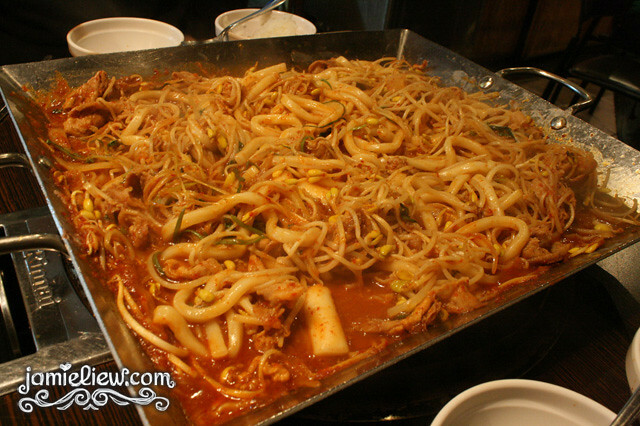 Kongbul is one of the cheapest food around which tastes absolutely awesome. if you like spicy food that is. because bul means fire. which means it’s going to be realllllll spicy. and kong means beans but for this shop it actually means bean sprout. 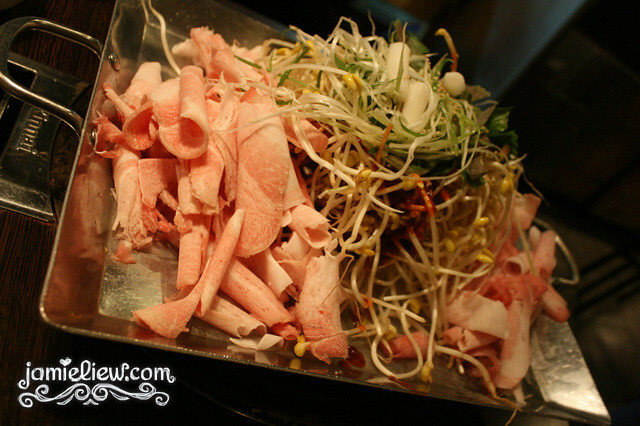 hate bean sprouts? well, that isn’t an excuse because I used to hate it too. until I tried the goodness of Kongbul. it’s actually a chain store so it’s not weird to run into one anywhere. 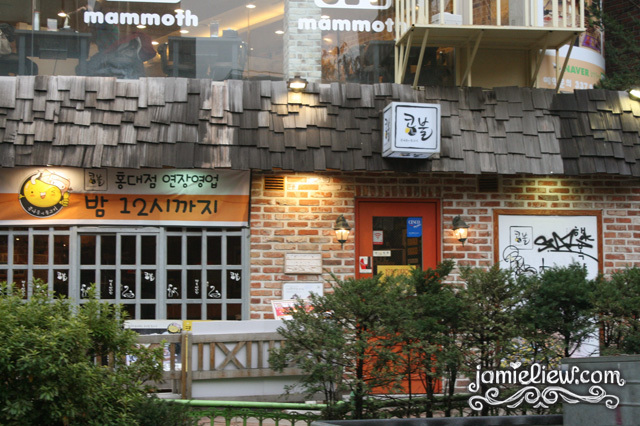 so far I know that there’s one in Sinchon, Edae, Hongdae (picture) and Myeongdong. I’ve seen it before at many other places but couldn’t recall. and even in Busan and Anyang! this shop is everywhere I tell you. every tourist friendly shopping area I guess. and they all look the same. same design. 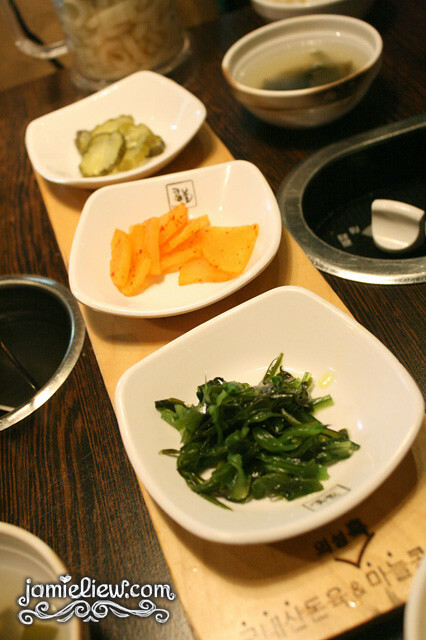 starts from 5,500won per person, this is one of the most reasonable eats around. and what’s more? it’s delicious pork bulgogi with a lot of bean sprouts! we added Udon sari to ours. absolutely nyam. it comes with rice as well but the stupid Hongdae shop gave us like only 70% of what they normally give (which isn’t a lot as well) so we had to add more rice pffffffffft. byebye our money. and they gave very little soup as well. if you go to the Sinchon one they give an appropriate amount of rice, a lot of soup and eat as much as you want gim (not available in Hongdae’s branch) but the one in Hongdae opens until 12pm so =D. forget the other two, whack the seaweed. mm. xD sorry eheh. but Uncle Jangs in Malaysia is real good as well! and thank you! =D. she’s much prettier though. and she has a heart of gold too! gahhh… I love the last picture of you two. So look alike and pwetty <3. haha! I don’t see how we look alike but thanks! I don’t think phrasebooks are very essential. instead, copy down phrases you need off the internet would do good. but if you think you really need it. then you can try Berlins. I was using it before.